Shopping Around Ohio is Always Fun! 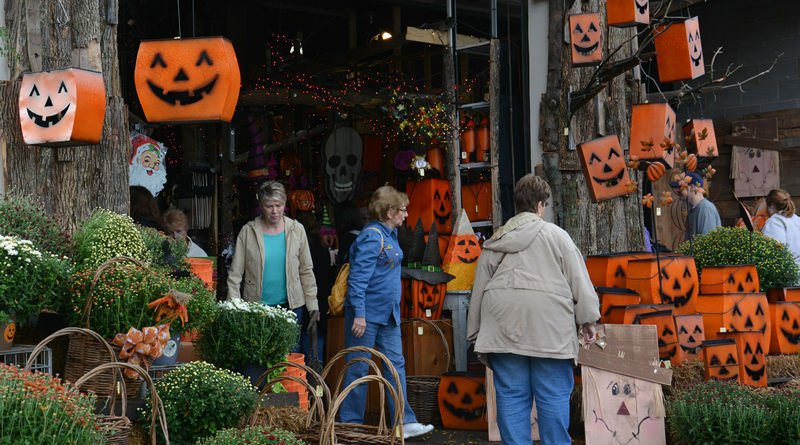 This year our 2016 “Fall in Love with Ohio” bus trip was all about enjoying unique shopping experiences. Our day included trolls, blueberry donuts, a beautiful garden/shop, Amish foods, chocolate, antiques, and Ohio wine. 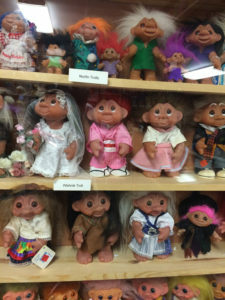 Who remembers collecting trolls? This museum has found it’s way into the Guinness Book of World Records for it’s largest collection of troll dolls. Along side the museum is a unique gallery filled with one-of-a-kind creations and the unusual. There is a cost to view the museum and you should allow 45 minutes to an hour to go through the entire museum. For those who live in the area, when you say White House Fruit Farm, the first thing that comes to mind is their delicious blueberry donuts. 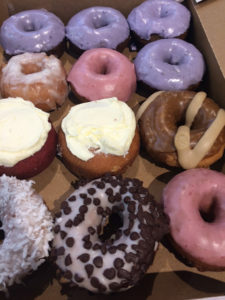 The donuts are just a small part of what makes this year-round farm market so special. The Hull family has been farming the land for over three generations. Some of the best blueberries and apples come from this 75 acre farm located in Mahoning County. Besides fresh produce and fruit the market also sells bulk items, specialty foods, their own apple cider and homemade buttercream fudge. During the fall season, the farm hosts a fall festival that includes horse drawn wagon rides, pony rides, a pumpkin pavilion, food vendors and more. Wow! That’s normally the first word I hear when I take someone to visit the gardens. Fellows Riverside Gardens is a twelve-acre display garden featuring various plant displays which include perennials, annuals, flowering bulbs, roses, flowering trees and more. The garden is free to the public and is located in the Mill Creek Metroparks. The Shop in the Gardens that is located in the Visitor Center, offers a wonderful selection of fine gifts. Also located in the Visitor Center, is a Garden Cafe’ and a library. Gardening courses and special events are offered throughout the year. Should you wish to have a guided tour, they are available by reservation. Located in Mill Creek Metroparks and a short drive from the gardens is Lanterman’s Mill and Covered Bridge, both are worth the trip to see. We had the most amazing lunch at the Overture Restaurant. 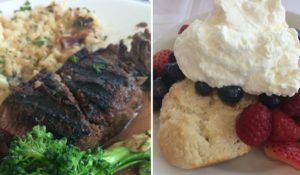 Chef Jeff Crystal, of Crystal Catering prepared us a wonderful lunch that included a wild greens salad paired with warm artisan breads, a delicious 6oz. sirloin resting atop a creamy risotto and a side of broccoli. The encore included a delicious shortcake topped with fresh berries and cream. 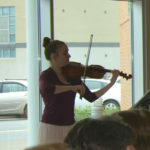 Adding to the ambiance of our meal, we also had the wonderful pleasure of a Youngstown State Graduate student serenading us during our meal. After lunch we were treated to a tour of the beautiful Edward W. Powers Auditorium. “Originally constructed by the Warner Brothers in 1931, this magnificent theater, was built by Harry, Jack and Albert Warner as a memorial to their brother Sam.” I can’t believe that this beautiful facility was once slated for destruction. 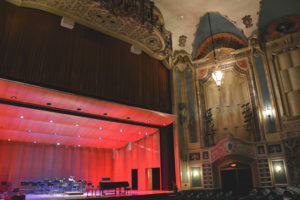 The Auditorium is home to the Youngstown Symphony Orchestra. The Valley Marketplace is an indoor farmers market open Thursday – Saturday. 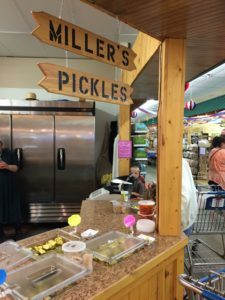 The local Amish community fills the market with their Amish furniture, bakery items, bulk items, household products, meats, cheese, and other homemade items. The Miller pickle stand, the Miller pretzel stand, and the Dutch Craft Furnishings were a few of my favorite vendors. Located in the Marketplace is Byler’s Kitchen, where you can sit down and enjoy some Amish cooking if you’re hungry. There is something about a chocolate factory that produces more than two million pounds of chocolates per year that can make everyone on a bus go crazy. 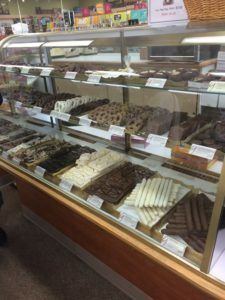 Our sixth stop found us at the Gorant Chocolate Factory, where a wide variety of various flavors of chocolates were available for purchase. I would like to thank the wonderful sales associates who greeted us with samples of this fine chocolate. I have to say the Mint Meltaways are probably my favorite. If you are looking for that glass bowl your mother had, or your trying to find that vintage piece to give your home character, Mr. Darby’s is your place. The various vendors offer everything from new to vintage. 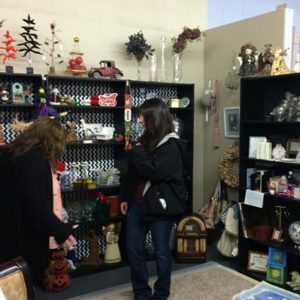 Furniture, collectibles, antiques, glassware, toys, memorabilia and more are located in the emporium. Our final stop of the day was at the first established winery in Mahoning County. The Matropietro family welcomed us to their wonderful winery where we enjoyed a delicious catered Italian feast and of course a wine tasting of their wines. The winery has a picturesque patio and offers live entertainment on Friday and Saturday nights. Should you find yourself at any of the above stops, please make sure you let them know how you found them. Tag your adventures in Twitter by using the hashtag #myohiofun. This trip can be completed in one day. I would like to acknowledge Linda Macala, Executive Director of the Mahoning County Convention and Visitors Bureau for suggesting and organizing many of our stops this year. 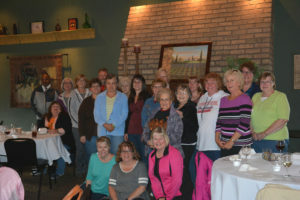 Linda also met us at the Overture Restaurant where she took time to give our group a private tour of the performing arts hall. 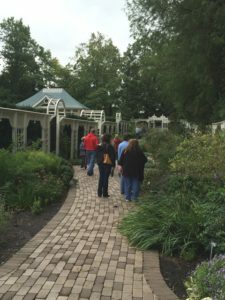 Group Tour notes: If you would like to have your group do a similar tour, please contact the Mahoning County Convention and Visitors Bureau at 330.740.210|800.447.8201. The staff at the visitor bureau can help cater a special tour for your group, as well as assist in accommodations, should they be needed. ← Enjoy a cup of tea at one of Northern Ohio’s area tea rooms.